FX Luminaire introduced the MR-16 50-watt LED replacement lamp, which is designed for applications that require lamps with high lumen outputs. The lamp completes the company’s MR-16 offering, which now includes several lumen output options in lamp models ranging from 20- to 50-watt equivalents. 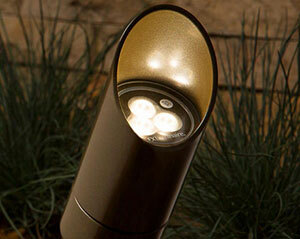 Additionally, the lamp offers retrofit capabilities for all lighting fixtures with an MR-16 lamp base. It incorporates the same potted design as the lower output 20- and 35-watt models, is available in 2,700K and 3,900K color temperatures, features a 35-degree beam spread and is capable of zoning and dimming when used with the Luxor Low-Voltage Cube. The lamp is also fully compliant with California’s Title 20 requirements, as its energy efficiency helps reduce electricity consumption, FX Luminaire said.